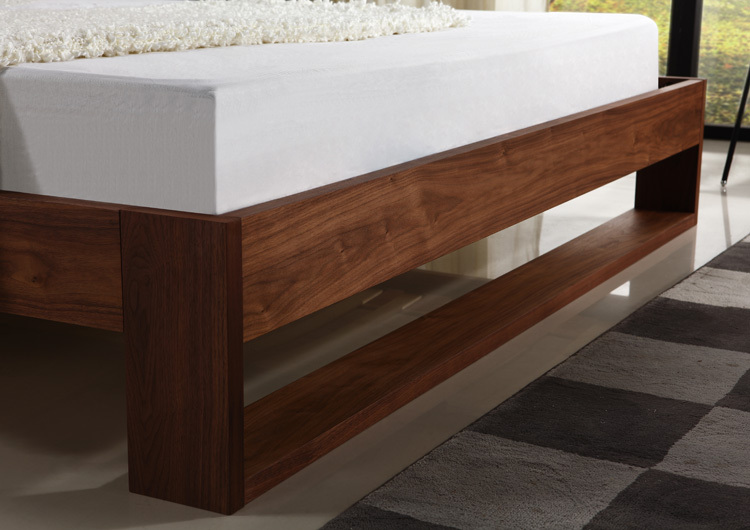 A cool modern King Size bed in walnut veneer with an upholstered headboard, covered in light taupe fabric or white eco-leather. Featuring slat supports. 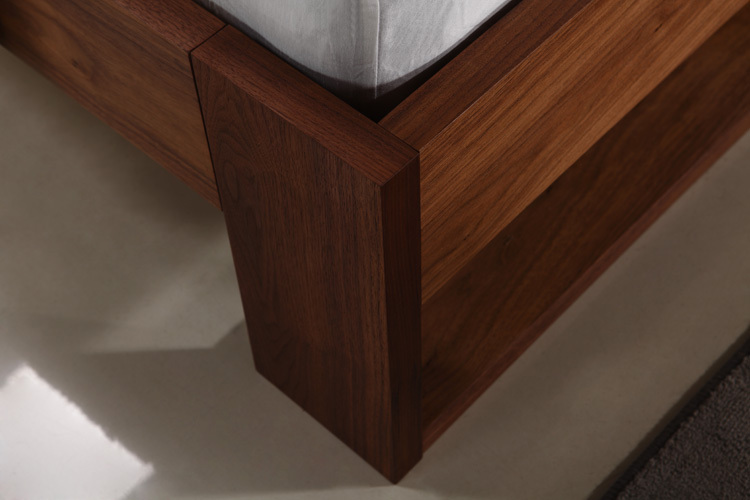 Nightstand sold separately.